During Lent 2013, Alister Hendery (our priest-in-charge) guided us through a series of 5 studies on exploring prayer. These are the notes that accompanied the studies. I have titled these sessions exploring prayer, because it’s an exploration – a discovery, perhaps a re-discovery, of what prayer might be for us. I’m inviting you to join me on this journey. I don’t claim to be an expert on prayer. What I am, as you are, is a beloved child of God – a son, a daughter of God – who wants to grow in that love, to be shaped and transformed by it, and be able to share it with others. We can read the Bible in various ways. We can study it from different angles: as history, telling us about other times and other peoples, as great literature, as poetry, or perhaps as wonderful stories. We can also see it as giving us insight into different aspects of the human condition and helping us to understand how people work – and of course it’s a resource for developing theology, and for crafting sermons and messages. And all of these things are good. They have one thing in common with each other: they’re all about reading for information. There is, however, another way of reading Scripture: reading for transformation: reading it so that it changes us and deepens our relationship with God. The difference between these two types of reading is the difference between reading a newspaper and reading a love letter. In the first, you want to find out what’s going on in the areas that interest you, and because you want to be informed. Perhaps you’ll read some articles in depth, and others you’ll just skim and then move on to the crossword. Reading a love letter is quite different: it’s a message written just for you from someone who loves you and cares about you. You read it slower, and reread bits of it, and maybe think about it as you go about the day. We can also read scripture like this. It’s called Lectio Divina (literally: spiritual or sacred reading). In the Anglican tradition there are, classically, two broad elements in our prayer life: the prayer of the church and private prayer. We often treat them as separate things, but they’re very much linked – one flows into the other and nourishes the other. 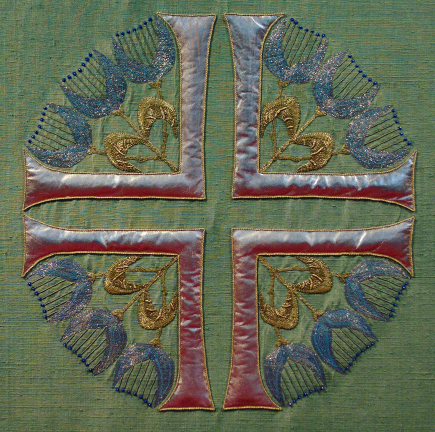 The prayer of the church is something we take part in when we attend corporate worship – such as Eucharist or Evensong, and also includes what we call the Daily Offices (Morning Prayer, Midday Prayer, Evening Prayer and Night Prayer). The corporate prayer of the church links us with the prayer of the wider church, and reminds us that we are the Body of Christ – joined with sisters and brothers throughout the world and throughout time. Our private prayer is obviously linked to the prayer of the church, because we are linked to the church, and so we can’t really separate the two out. Gratitude (which comes from the Latin gratus) has the same root as grace – the free, boundless gift of God. So it speaks of gratefulness, thankfulness, thanksgiving, especially for what God has given us. Examen is about self-examination. This process of prayerful reviewing has two aspects to it, like the sides of a door. The first is a review of consciousness through which we discover how God has been present to us throughout the day and how we have responded to God’s love for us. The second aspect is review of conscience in which we discover those areas in our life that need forgiving, changing, transforming, healing. Enter your email address to receive parish news by email.